The Harlem Globetrotters are known for their shenanigans and putting smiles on peoples faces. I wish they could have shared in the priceless expression of my nephew’s face as we made our way into the Staples Center. 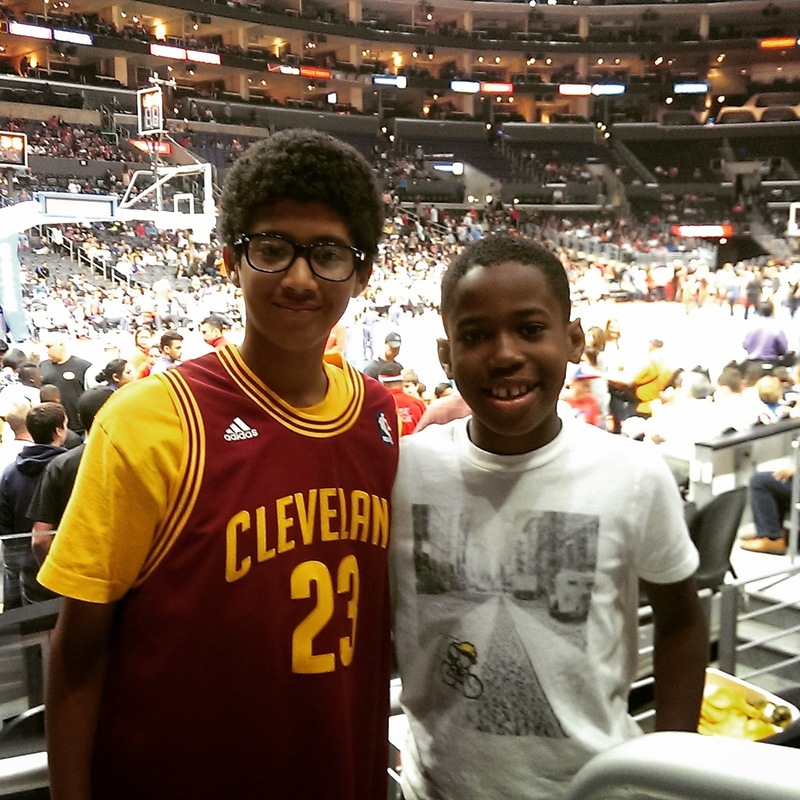 I had no idea this would be his first time attending an event at the Staples Center, let alone a Globetrotters game. The look on his face as we entered the building and found our seats was priceless. Words cannot express the look on his face when the Globetrotters made their way onto the court. He is and has been a basketball fan but, watching the Globetrotters as opposed to a NBA game is a different ball game. It is over the top, basketball entertainment. 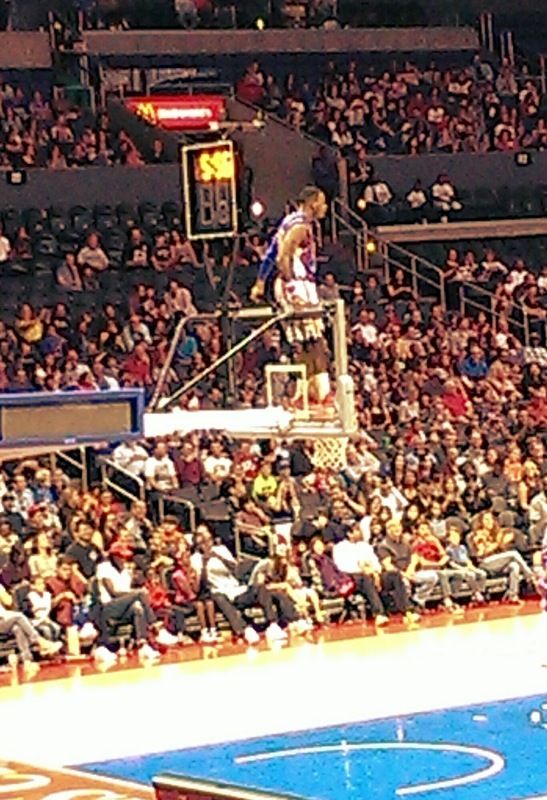 The Globetrotters were in rare form, as to be expected. They danced around, fooled around and made jokes. Some jokes may have been a bit distasteful but, the crowd seemed to get over it. Over the years they seem to stick with some of the same acts like bringing a child or two out from what seems to be the VIP section to learn Globetrotters skills or wish them happy birthday. They also will bring what seems to be an unsuspecting woman to the center court. Which is usually a celebrity. Last year it was Heidi Klum. This year it was Mel B. Then they play a practical joke on her by gifting her with her own purse. There is definitely much entertainment. My nephew and son could not contain themselves. They enjoyed the entertainment and the game. They were so into the game it seemed as though they were legitimately nervous about the Globetrotters potential loss. 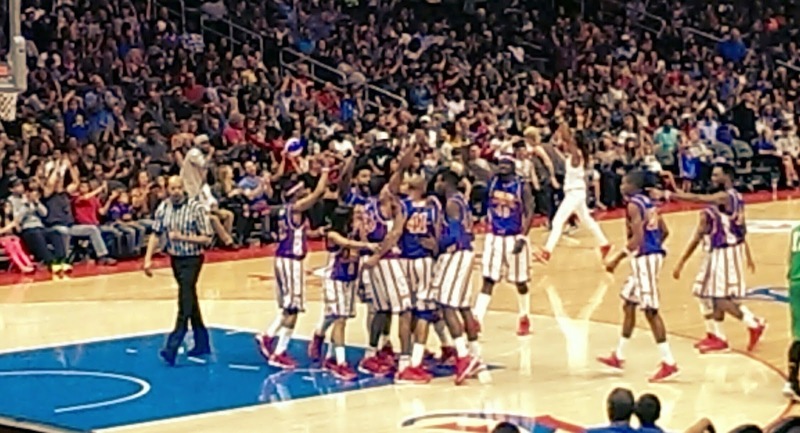 Throughout the the course of the game the Globetrotters were loosing until the last few seconds. When it was discovered the referee was not a good ref. He was then immediately withdrawn from his reffing duties. As soon as the ref was gone the game was on. Nevertheless, the Globetrotters won! Cheers rang out and my boys where cheering hysterically. The Globetrotters are definite winners in my book. They won the game, they put a smile on my son and nephew’s face. Most of all I was able to partake in a priceless, enjoyable moment.